During Breaking Bad’s eleven-month hiatus, fans anxiously awaited the airing of the final eight episodes. Complications have arisen with the showing of season five’s last episodes. Ohio resident Noam Lzenbik, a fan of BB, is suing Apple for false advertising. When Apple’s Breaking Bad Season Pass came out, the company advertised the pass as including “all current and future episodes.” Lzenbik bought his pass when AMC aired the first half of the season in 2012. His complaint is that the company is now saying customers must purchase a new Season Pass to watch the rest of the season. If the ruling is in Lzenbik’s favor, he might not be the only one to benefit. 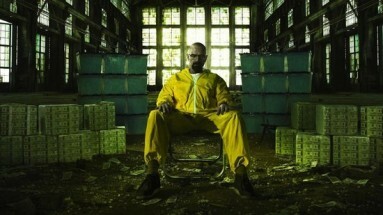 He is trying to turn the case into a class-action lawsuit so that all Breaking Bad Season Pass buyers are compensated. Lzenbik argues that “when a consumer buys a ticket to a football game, he does not have to leave at halftime.” Just as sports spectators shouldn’t have to renew their ticket, television show fans should be able to watch a season they paid for in its entirety.